Browsing Category: Books Displaying 1-5 of 5 Found. $10 This is the 2nd edition of Beyond Creation Science, now made obsolete by the new book. This remains an interesting piece of history for those who wish to investigate the origins of the current book. This 134 page pamphlet was made available to the public in 2005. 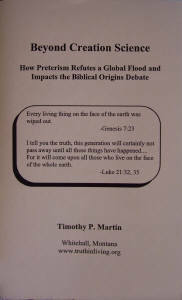 $20.00 The latest book from Tim Martin and Jeffrey Vaughn. $285 Buy a Case of Books (24 copies) for $11.88 each. $16 By 3 Copies or more for $16 each. 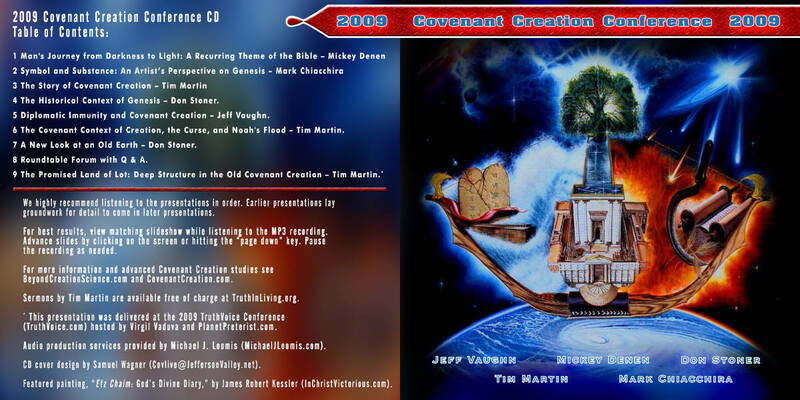 $16.00 Quantity Discount Price for 3 or more copies of the 2009 Covenant Creation Conference CD and artwork. We are currently only accepting check or money orders online.